This tip came from one of our engineers, Martin, who writes on this blog from time to time. 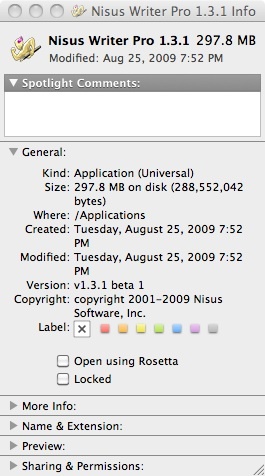 In previous versions of Mac OS X a user could use “Get Info” in the Finder to control which localization(s) a particular application was launched with, eg: they could disable all but one localization to force an application GUI into a certain translation. This is no more. Snow Leopard removed the feature and doesn’t appear to have an equivalent. 1. Adjust the list of languages in the system preferences so that the desired language is first (or at least appears before other available localizations). Note this affects all applications, system wide. 2. Manually open up a single application package and trash the unwanted localizations from the Resources folder. Sorry to reply too late, but I read this today for the first time if I’m not mistaken. With Language Switcher (free), “you can open any of your applications in any of its localisations”. Works fine in OS X El Capitan 10.11.6 I’m running now.